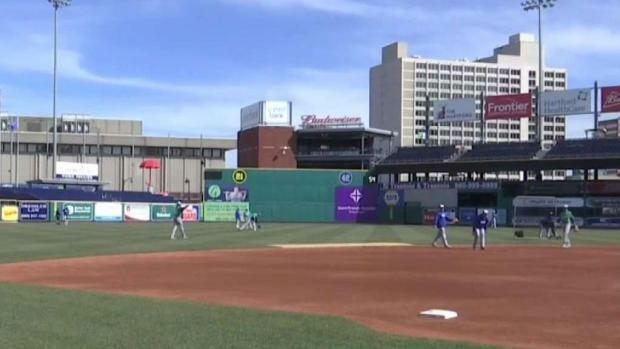 The Hartford Yard Goats are kicking off their third season at Dunkin' Donuts Park Thursday. The team is taking on on the rival New Hampshire Fisher Cats. Team President Tim Restall said the ballpark is ready for its 2019 debut. 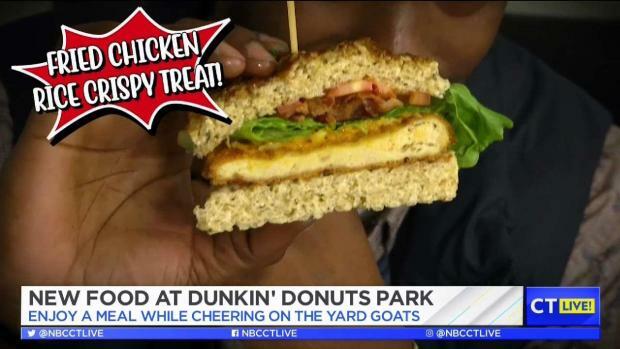 Daym Drops joined Taylor and Jimmy to sample the new foods you can get at Yard Goats games this season. "Getting the ballpark ready for opening day is like preparing your home to greet old friends; it never gets old and it’s more fun every season," Restall said. "It’s been exciting preparing for our third opening day at Dunkin’ Donuts Park, with so many changes in store, and knowing how excited the fans have been to get back in the ballpark for the last seven months," General Manager Mike Abramson said. 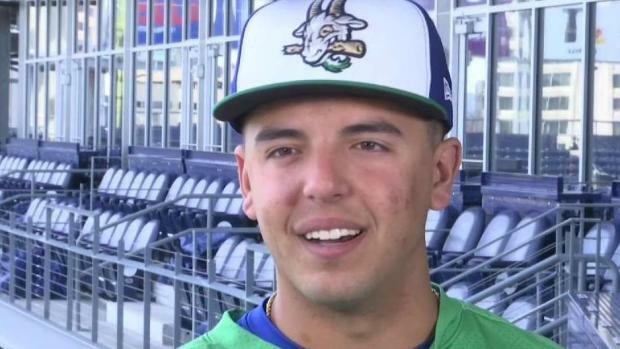 Kevin Nathan talked with some of the Yard Goats players to see how much they know about Hartford and Connecticut. One of those big changes this year at the ballpark is the stadium has gone peanut-free. “I am very serious about this being everybody’s ballpark. So our diversity initiatives, our Pride nights, our allergy sensitivity initiatives. It is all geared around making sure that anybody who wants to come here feels like they can and are comfortable coming here,” Abramson said. Abramson says it was the team that decided that the ballpark should go peanut-free, which means not selling shelled peanuts or Cracker Jacks. The popular seventh-inning stretch song, "Take Me Out To The Ballgame," got a makeover to say "buy me a hot dog and Yard Goats cap" instead of referencing peanuts and Cracker Jacks. The Yard Goats parking plan once again includes $5 parking at six select lots and garages, and 100 bike racks right at the ballpark. Fans will have the opportunity to park for $5 within a block of Dunkin’ Donuts Park. Colton Welker is the number 2 prospect in the Rockies organization. All six lots are accessible from Interstate 84 and Interstate 91. Fans will have the opportunity to pre-pay for parking through the Yard Goats website, and via the LAZgo app. New this season, LAZ Parking will be providing a free shuttle service on Sundays from the Market Street Lot to the ballpark. Fans at the home opener Thursday will also be able to enjoy fireworks after the game. Thursday night's game is the first in a seven-game homestand. After four games against New Hampshire, the team will take on the Richmond Flying Squirrels starting Monday night, when the first 1,000 fans get a winter hat upon arriving to the ballpark. Last season, the Yard Goats became the first minor league baseball club in Connecticut history to attract over 400,000 fans and led the entire Eastern League in total attendance (408,942), including a club-record 47 sellouts and 28 maximum capacity standing room crowds. The Goats sold out the final 19 home games. NBC Connecticut will have complete coverage of the home opener festivities all day long on NBC CT, nbcconnecticut.com, and the free NBC CT app. 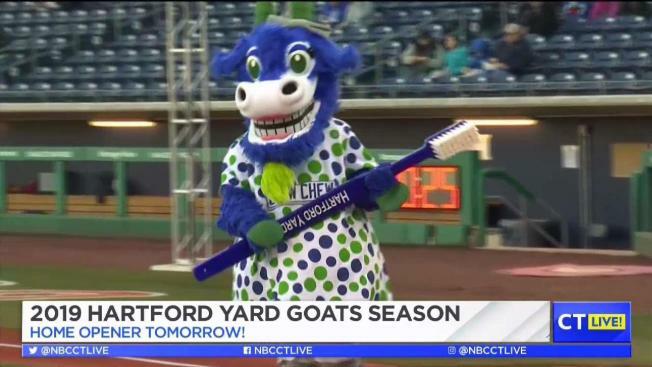 NBC Connecticut and Telemundo Connecticut are the proud media partners of the Hartford Yard Goats.